Many companies look for part-time employees, whether for seasonal help during busy months, freelance and consulting support on an as-needed basis, or for routine assistance throughout the year. CareerCast.com has compiled a list of the best part-time jobs, based on pay and job outlook. For job seekers aiming to find part-time employment, these positions offer high pay in addition to the potential for job stability and growth down the road. Accountants are responsible for the preparation, upkeep, and analyses of financial records, bills, invoices, and taxes. In addition to the day-to-day maintenance and monitoring of financial operations, accountants must also ensure that a company's financial systems are working efficiently and within the scope of the law. They are expected to suggest different ways for clients to decrease costs and improve profits. 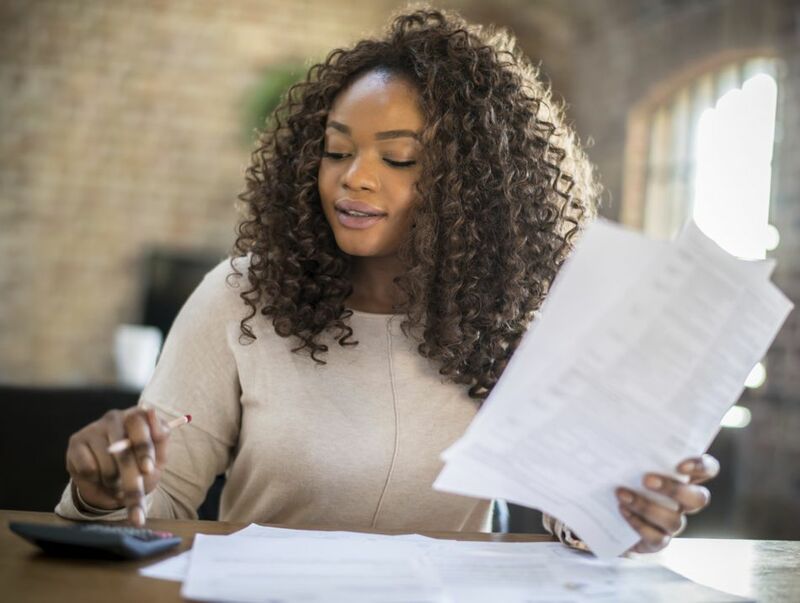 Accountants should hold a Bachelor’s degree in accounting or a related field, and depending on the job, they may need to be a CPA (Certified Public Accountant). Accountants are in high demand around tax season, which is when organizations or individuals might hire part-time accounting support. Job Outlook: Average. The Bureau of Labor Statistics expects a 10% increase in jobs through 2026. Computer programmers write computer software, though many programmers possess skills in software engineering and can also troubleshoot computer code, such as Java or C++. A successful programmer is fluent in the technical, back-end of the software, while also keeping in mind the front-end user experience. Computer programmers must hold a Bachelor's degree in computer science or similar field, though many hold Master's degrees or even doctorates, as well. According to CareerCast.com, since not all companies can afford in-house programmers, many will resort to part-time IT expertise to address any technology issues on a case-to-case basis. Job Outlook: Lower than average. The Bureau of Labor Statistics expects a 7% decline in jobs through 2026. Delivery truck drivers work within a limited region to transport goods between local warehouses, distribution centers, businesses, and households. Since delivery truck drivers are limited to trucks with cargo containing less than 26,000 pounds, they are generally responsible for the pick-up, transport, and drop-off of packages and smaller goods. In order to become a delivery truck driver, you are generally required to have a high school diploma. Most companies also require a one-month on-the-job training, and of course, you need to have a valid driver's license and a clean driving record. Job Outlook: Slower than average. The Bureau of Labor Statistics expects a 4% increase in jobs through 2026. Editors plan, coordinate, review, and revise content for publication in books, newspapers, magazines, email, or websites. Editors review story ideas and determine which topics will appeal to the publication's readers. Proofreaders examine a final draft of a document, book, newspaper, or any other written communication, after it has been edited, to ensure that no errors remain. Proofreaders must have a keen eye to find spelling errors, punctuation errors, typos or incorrect use of grammar. Hiring Outlook: The Bureau of Labor Statistics expects no increase in jobs through 2026. Graphic designers work in programs like Adobe Photoshop or Adobe Illustrator to create graphics for a variety of purposes. Graphic designers might work on anything from creating custom logos and font types, to designing websites and email templates, to producing marketing collateral including advertisements, postcards, and banners, to illustrating original digital artwork. Though some designers work in-house for a single company, others work freelance for a variety of clients, thus creating a strong part-time job market for graphic designers. Job Outlook: Average. The Bureau of Labor Statistics expects an overall 4% increase in jobs through 2026 with much faster growth in digital applications and declining opportunities in print and publishing. Management analysts, otherwise known as management consultants, examine an organization's systems to figure out how to maximize efficiency. Taking various factors into account, including staffing, organizational structure, and work flow processes, management analysts strive to increase profit by reducing costs and increasing revenue. Most management analysts have a Bachelor's degree along with a CMC (Certified Management Consultant) designation. However, since many management analysts work on a freelance basis, it's important to have prior experience working in a managerial or director role, in order to bring forth expertise as a consultant. Job Outlook: Faster than average. The Bureau of Labor Statistics expects a 14% increase in jobs through 2026. It's up to market analysts to dissect market trends - what people are buying, what they want to buy, and what they are willing to pay, for example - and then share what they learn to help businesses better target consumers. Although most market analysts work full-time, others work on a consultant or freelance basis for various clients. In order to become a Market Research Analyst, you must have a Bachelor's degree in finance or a related field, though most companies look for candidates who have a Master's degree as well. Job Outlook: Much faster than average. The Bureau of Labor Statistics expects a 23% increase in jobs through 2026. Materials movers, or hand laborers, transport materials without using machines. Often working in warehouses or factories, or moving people's belongings, they might be responsible for moving freight around a storage facility, packing goods for shipping, unloading goods, or cleaning vehicles. In general, these types of positions do not require a certain level of education. However, since heavy physical labor is involved, candidates must be physically fit and able to lift heavy objects and spend many hours on their feet. Job Outlook: Average. The Bureau of Labor Statistics expects a 7% increase in jobs through 2026. Network and Computer Systems Administrators set up and support an organization's internal networks and Internet systems, working to make sure everyone is getting a good connection that allows them to work efficiently online. Network and Computer Systems Administrators are also responsible for ensuring network security. This position requires a Bachelor's degree in information technology, computer science or a related field. Job Outlook: Average. The Bureau of Labor Statistics expects a 6% increase in jobs through 2026. Writers produce content for a wide range of purposes: from websites to blogs, books and magazines, advertisements, songs, television and movie scripts, and more. Writers and authors might work in-house for a company or organization, within a specific field, like marketing or media, or, they might work on a freelance basis for various clients. Hiring Outlook: Slower than average. The Bureau of Labor Statistics expects an 8% increase in jobs through 2026. While all of these jobs make excellent part-time positions, many of them operate on a freelance basis, meaning that individuals - for example, writers, IT professionals, consultants, designers, and so on - work independently for a variety of clients. Interested in working part-time or freelance? Here's how to get started.